SANTA BARBARA, Calif., Dec. 18, 2017 /PRNewswire/ -- Chocolate Event Services & Gift Boxes chocolatiers at Santa Barbara Chocolate, the home of premium professional chocolate, are taking reservations for 2018 parties, weddings, travel events and large or small celebrations of all kinds. Bulk chocolate truffles for your event - all handmade using organic chocolate. 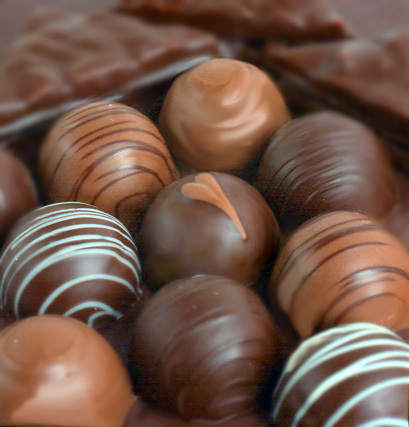 A trusted source for quality bulk chocolates for chocolate lovers and makers, chefs and bakers worldwide, Santa Barbara Chocolate also offers event services to some of the world's biggest companies and well-known event planners. A luxurious edible display, the Santa Barbara Chocolate Cacao Bar showcases the world of chocolate … from bean to bar and beyond. The "California Collection" Chocolate Gift Boxes highlight the very best in artisanal chocolates crafted with fresh fruits and nuts harvested from the rich land of the Golden State, from the grassy rolling meadows of Humboldt County to the Santa Barbara Riviera. "What's a party without chocolate? Don't take any chances. Corporate parties, weddings, private events, celebrations of all sizes – chocolate just makes them more fun," said Jason Vishnefske, master chocolatier and co-founder of Santa Barbara Chocolate. "Our very knowledgeable 'chocolatier docents' take party guests on a journey around the world of chocolate with our Santa Barbara Chocolate Cacao Bar and our impeccable and delicious Chocolate Gift Boxes elevate any event. Santa Barbara Chocolate works closely with very popular event planners like global events company Maritz Travel, destination experiences leader Allied PRA and global hospitality guru Colin Cowie for all kinds of international events and parties providing interactive chocolate tastings and gift boxes. 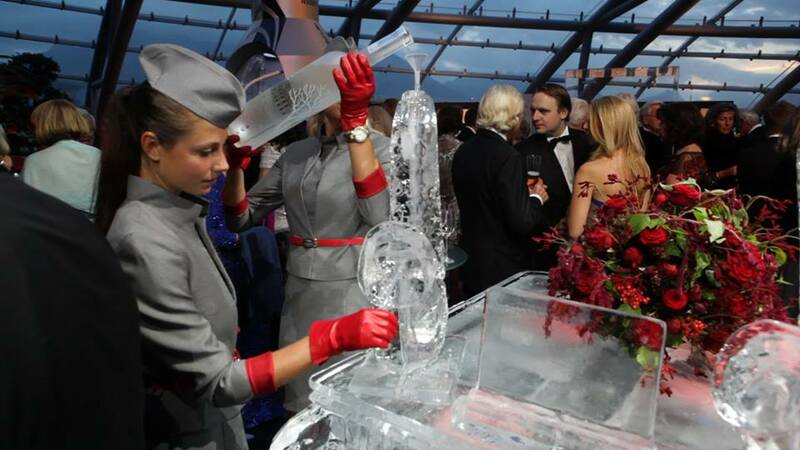 We've helped make events for Lexus, American Airlines, United Airlines, Four Seasons Resorts, Wolfgang Puck and Hollywood productions much more chocolatey." 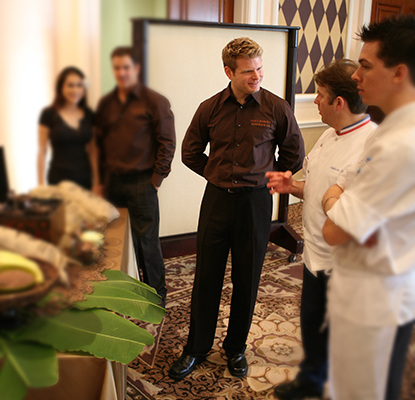 Expert "Chocolatier Docents" host the Cacao Bar, taking guests on a sensual, chocolate journey of discovery and helping them understand the difference between exotic and traditional chocolate. Presented in classic Mesoamerican style with a California flair, the no-passport-needed tasting trip of discovery gives party guests the chance to sample fragrant and colorful roasted cocoa beans and nibs, tiny bits of fermented, dried, roasted and crushed cocoa bean. The Cacao Bar displays several botanical types of cacao pods (Criollo, Forastero and Trinatario) from which all the world's chocolate is derived. In addition to the raw forms of chocolate, guests can taste high-quality couverture (solid) chocolate from exotic locations around the world. Guests will have fun comparing the flavor nuances of Indonesian dark chocolate to Costa Rican dark chocolate or Ghana milk chocolate to Borneo milk chocolate. Couvertures contain varying percentages of cocoa solids (the higher the percentage the darker the chocolate), which means only the adventurous will brave the robust 100% dark Ivory Coast chocolate. Miniature masterpieces of flavor and color, the chocolate truffle is the chocolatier's highest art form, so pure and exquisite fresh cream chocolate truffles round out the indulgent Cacao Bar experience, an overflowing cornucopia of incredible aromas and flavors for the palate and the eye. The Santa Barbara Chocolate California Collection Gift Boxes include Chocolatier Vishnefske's highest-quality handcrafted crunchy, chewy and silky smooth chocolates inspired by and created with fresh fruits and nuts harvested in the state of California. Available in 20-, 40- and 160-piece assortments, these artisanal gift boxes are the best value anywhere for bulk chocolates, truffles, toffees, buttercreams, cherries and other delights. Enjoy toasted almonds enrobed in milk and dark chocolate, walnuts dipped in dark chocolate, soft orange nougat, crisp buttery toffees, chewy caramels, soft butter cream truffles, dark chocolate cranberries and more. 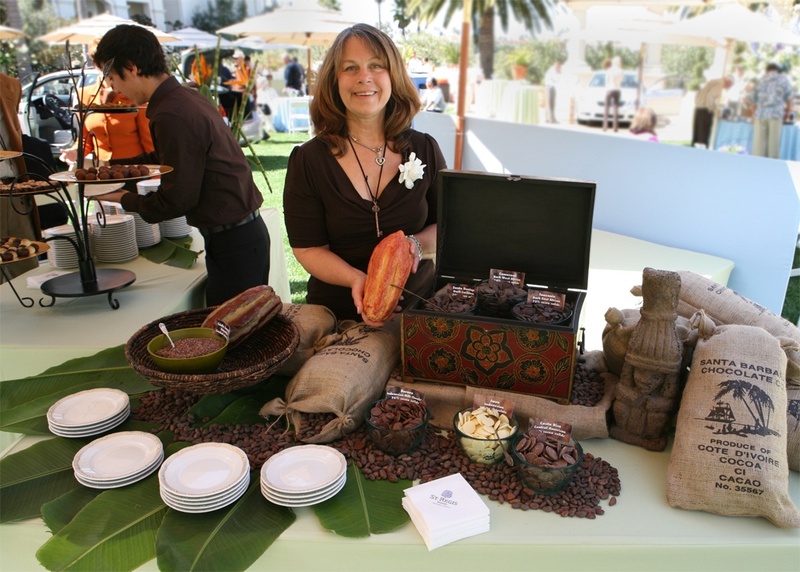 Elevate your next event by including Santa Barbara Chocolate's Chocolate Event Services. Call us at 888.81.COCOA (888.812.6262) or email info@SantaBarbaraChocolate.com. Santa Barbara Chocolate, the home of premium professional chocolate and wholesale source for quality bulk chocolates for chocolate lovers and makers, chefs and bakers worldwide, is a California-based chocolate factory that makes high-quality organic chocolate couverture, 100 percent pure cacao, cocoa powder, chocolate chips and gourmet drinking chocolate. Co-founded in 1992 by master chocolatier Jason Vishnefske, Santa Barbara Chocolate has been the trusted source for high-end chocolate at affordable prices for 25 years. By merging the high standards of European chocolate craftsmanship with a fresh and vibrant California-lifestyle approach, Vishnefske has helped elevate chocolate from "junk food" to a healthy delicacy. Our suppliers around the world are fully accredited with one or more of these systems, programs or organizations: HACCP, UTZ Cocoa, USDA Organic, NOP Organic, Fair Trade and Rainforest Alliance. Call us at 805.477.7682 or visit us online at SantaBarbaraChocolate.com. Follow us on Facebook, Twitter, Pinterest, Instagram, YouTube and Google+.